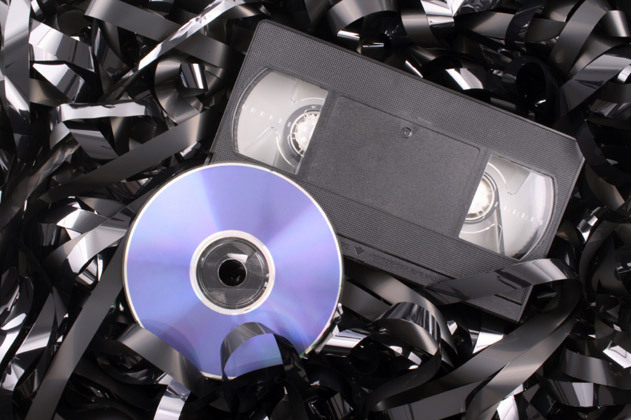 Standard Service: Video to DVD service transfers a direct copy of VHS, VHS-C, and 8mm tapes onto DVD. We set chapters every 5 minutes to allow you to fast forward through the film. Enhanced Service: Includes transfer to computer using filters to enhance, sharpen, improve colour, correct camera shake and adjust brightness. Installing a Menu to the start of the DVD as well as Chapters at 5-minute intervals. Custom Service: Includes transfer to computer performing noise, sharpening, colour, camera shake and brightness filters. Installing a Menu to the start of the DVD with optional non copyright background music and customer specified Chapters and if required up scaling the aspect ratio to 16:9 for modern TV sets. Additional DVDs can be provided at time of order for £4 each. Video to Blu-ray Service: This comprises the same services as above except the final video is saved to a Blu-ray Disc. These hold more data so we can place more onto one disc than with DVDs. Please note that the quality of DVD and Blu-ray Discs is only as good as the quality of the original videos and whilst we can run filters we cannot, for example, make these High Definition quality. Cine Film Transfer: For Cine Film Transfers, please see our Cine Transfer Page.